Patong Bay Garden Resort is the newly developed hotel and the one of the best deluxe Thai boutiques hotel located right on the beachfront of Patong Beach One the most beautiful beaches of Phuket lsland. Each room incorporates with modern hospitality design blended along with the touch of elegant Thai culture. 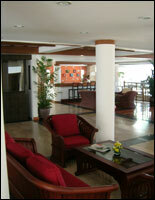 The hotel offers accommodation in 71 rooms and over 40 room with a private balcony. 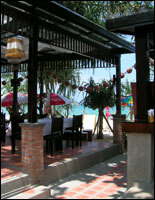 The hotel is within walking distance from Patong exciting shopping & night life. - Child age from 4-12 years are subject to 50% charging of Breakfast and Gala Dinner. There would be complimentary one extra bed set up to sharing with parent in the same room. - Not later than 7 days (1 May - 31 Oct) and 21 days (1 Nov - 30 April) prior to the arrival date otherwise one night of room rate of total number of room reserved will be charged. - No-Show : Will be charged one night per each room reserved. 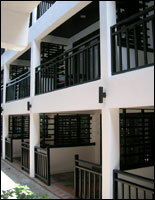 Patong Bay Garden Resort features 12 Superior rooms, 36 Deluxe rooms, 21 Junior Suites and 2 Suite with private living room. Daily Fresh Pasta & Salsa. We serve simple and stylish original Italian food and our Pizza emphasis on taste as a primary concern of fresh and real Italian herbs. Day Spa Massage and Bann Spa (Home spa) was created to be a sanctuary for the inner self, to refresh and rejuvenate your spirit as well as your physical being. 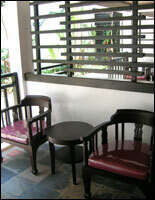 It is Thai herbal spa yet it comes with proven experience and solid credentials.